1. Material: the material of the product is polyester fabric, which is more firm and lighter, and it is easy to clean. 2. 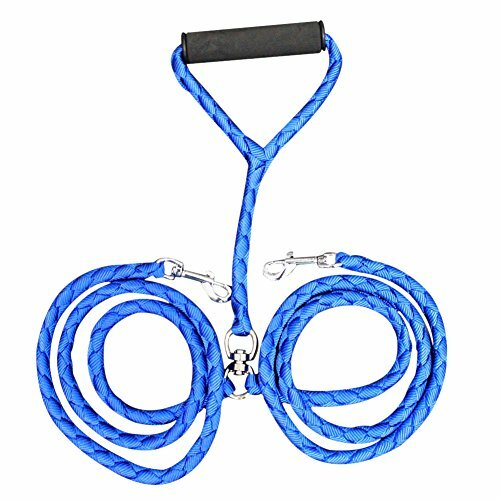 Durable: the design of double traction rope head makes it convenient and comfortable, durable, and it can draw two pets at the same time. 3. Convenient: the rotary buckle design allows automatic adjustment when the dog walks so that the pet can move freely. 4. Soft Handle Design: with soft foam handle, you can grip it easily. 5. Design: the right length design is convenient for people to travel. If you have any questions about this product by YESIDO, contact us by completing and submitting the form below. If you are looking for a specif part number, please include it with your message.